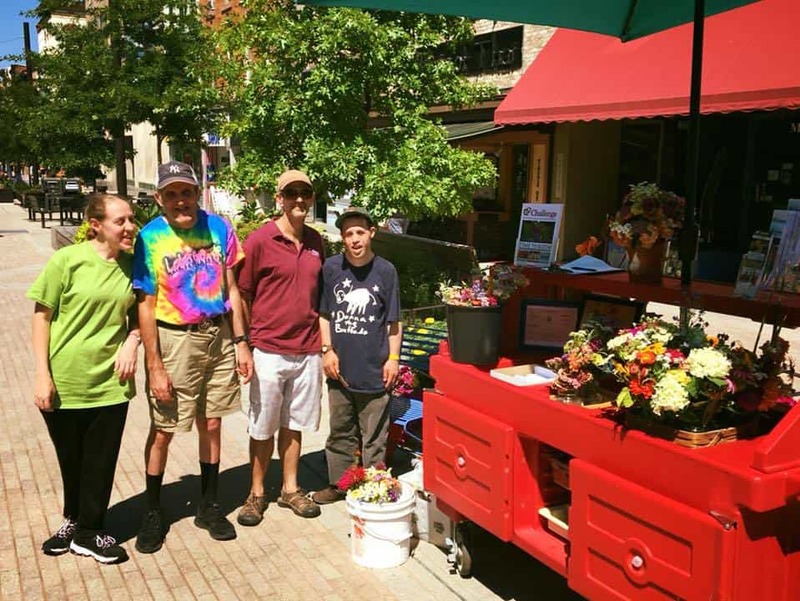 Successful first day for the Ability in Bloom flower cart on the commons over the weekend!! Stop by next time for fresh-cut flowers and greeting cards from growers and artists at Challenge Workforce Solutions. The cart will regularly be located in front of Taste of Thai on the Commons around lunchtime this summer. We love to see growers at the Incubator Farm entering such creative new markets!!! Stay In the Know: Join our Newsletter!